There are 67 Assisted Living Facilities in the Downey area, with 6 in Downey and 61 nearby. The average cost of assisted living in Downey is $2,575 per month. This is lower than the national median of $3,346. Cheaper nearby regions include Bellflower with an average starting cost of $2,400. To help you with your search, browse the 226 reviews below for assisted living facilities in Downey. On average, consumers rate assisted living in Downey 4.1 out of 5 stars. Better rated regions include Cerritos with an average rating of 4.5 out of 5 stars. Caring.com has helped thousands of families find high-quality senior care. To speak with one of our Family Advisors about assisted living options and costs in Downey, call (855) 863-8283. Located just southeast of Los Angeles and in the same county, seniors in Downey, over 10 percent of the population, can spend time outside of their assisted living communities in the city's public parks, the local library, golf courses, and museums. Downey has six assisted living facilities and there are 53 nearby. 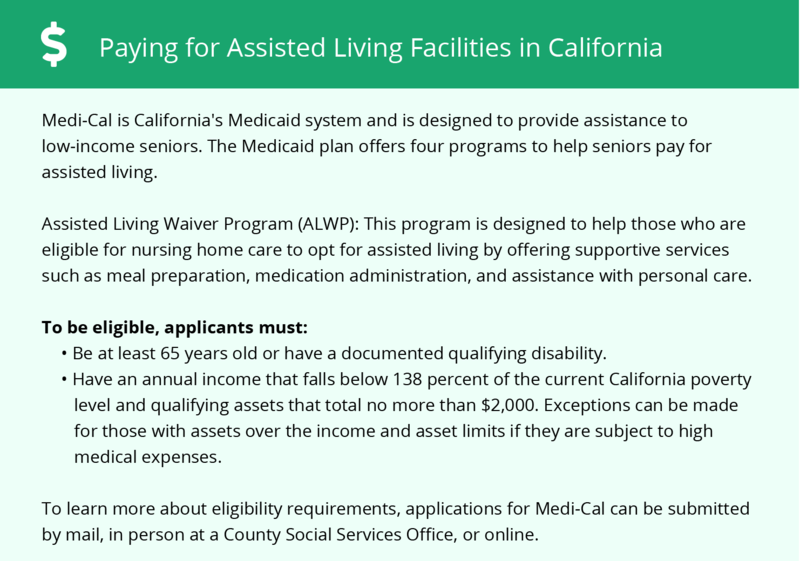 California calls these facilities Residential Care Facilities for the Elderly, and they are regulated by the California Department of Social Services, Community Care Licensing Division. Downey has an array of community resources for seniors, including The Arc, an organization that sponsors a variety of activities as well as one senior center in the city (Barbara J. Riley Community and Senior Center) and several more within a short commute. Downey and southeast L.A. is home to world-class medical facilities, including St. Francis Medical Center and Promise Hospital of East Los Angeles (which specializes in long-term acute care) in the event of medical emergencies or illness. California is not known for being tax-friendly, and it does not provide seniors with a tax-exemption on retirement income other than Social Security. Downey residents have a combined 10 percent sales tax compared to the 6 percent national average and 8.54 percent state average. Residents of Downey, a part of Los Angeles County, experience some of the worse air quality in the nation. It is ranked in the top ten worse locations in the nation for three different pollutant categories by the American Lung Associations. Seniors with breathing problems may want to consider this before moving to the area. The cost of living in Downey is equal to the state average, both being 52 percent higher than the national average. Locals do pay 4.5 percent less nationally for groceries and 7 percent less for health costs. Downey has both high property crime rates and crimes per square mile. It is only 15 percent safer than other cities in the nation and 19 percent safer than cities and towns of comparable size. Assisted Living costs in Downey start around $2,575 per month on average, while the nationwide average cost of assisted living is $4,000 per month, according to the latest figures from Genworth’s Cost of Care Survey. It’s important to note that assisted living rates in Downey and the surrounding suburbs can vary widely based on factors such as location, the level of care needed, apartment size and the types of amenities offered at each community. 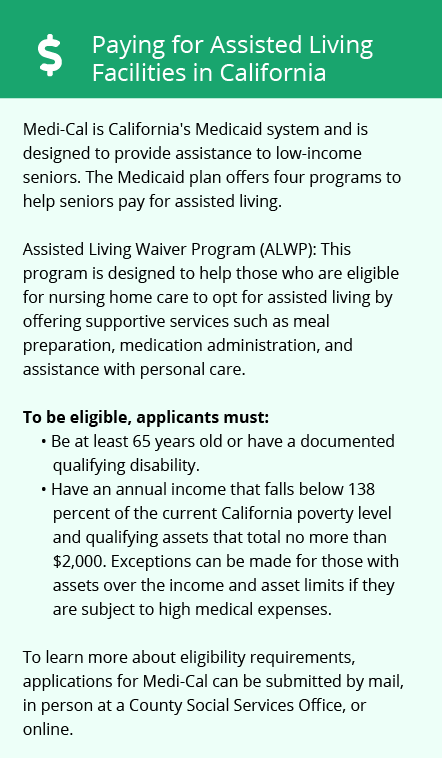 Seniors seeking financial assistance in Downey can take advantage of the state's Medicaid program (Medi-Cal) and apply for the state sponsored Assisted Living Waiver (ALW). In addition, the state offers an optional state supplement (OSS) to individuals who receive SSI benefits and caps room and board costs at affiliated facilities. Downey and the surrounding area are home to numerous government agencies and non-profit organizations offering help for seniors searching for or currently residing in an assisted living community. These organizations can also provide assistance in a number of other eldercare services such as geriatric care management, elder law advice, estate planning, finding home care and health and wellness programs. To see a list of free assisted living resources in Downey, please visit our Assisted Living in California page. Downey-area assisted living communities must adhere to the comprehensive set of state laws and regulations that all assisted living communities in California are required to follow. Visit our Assisted Living in California page for more information about these laws.